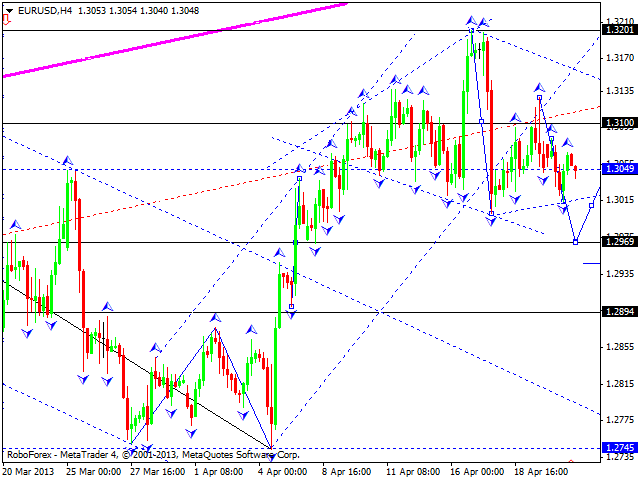 The EUR/USD currency pair continues forming another descending structure with the target at 1.2940. 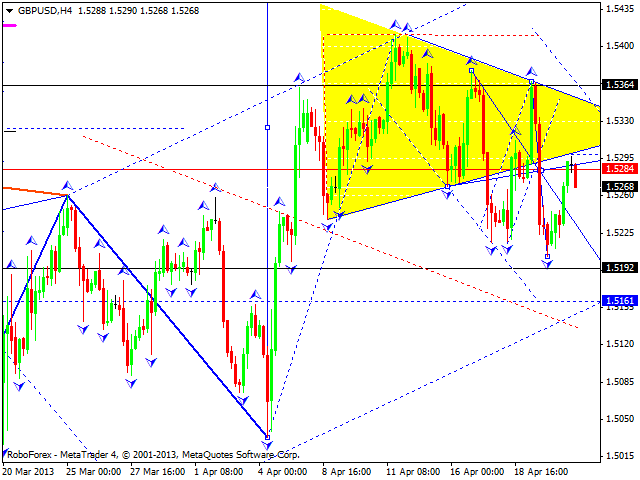 We think, today he price may form a correction to test the level of 1.3050 from below. Later, in our opinion, the pair may form one more descending structure to reach the target at 1.2880. 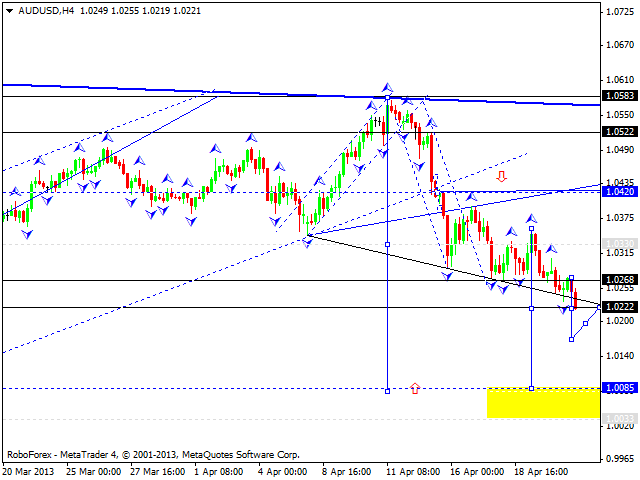 The GBP/USD currency pair is still forming the third ascending wave inside this correction with the target at 1.5292. We think, today he price may fall down to reach a local target, return to the level of 1.5284, and then form another descending structure towards the level of 1.5161. Later, in our opinion, the pair may continue growing up to reach the target at 1.5615. 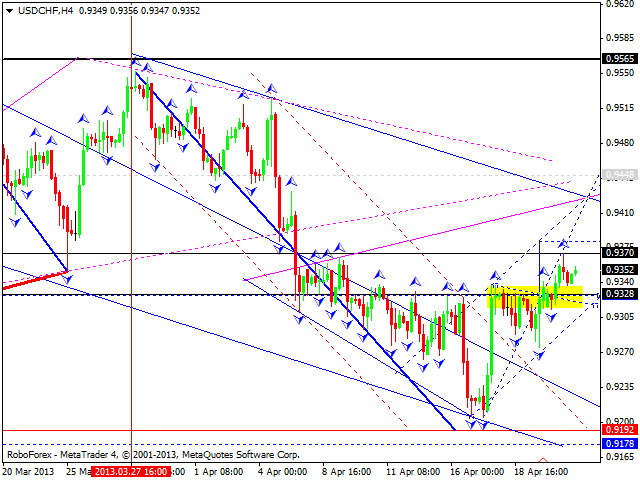 The USD/CHF currency pair continues forming the third ascending structure with the target at 0.9380. We think, today he price may move downwards to test the level of 0.9330 from above and then start a new ascending movement towards the target at 0.9440. The USD/JPY currency pair is forming a descending impulse; the market broke the previous ascending channel and right now is forming a descending structure with the target at 95.80. 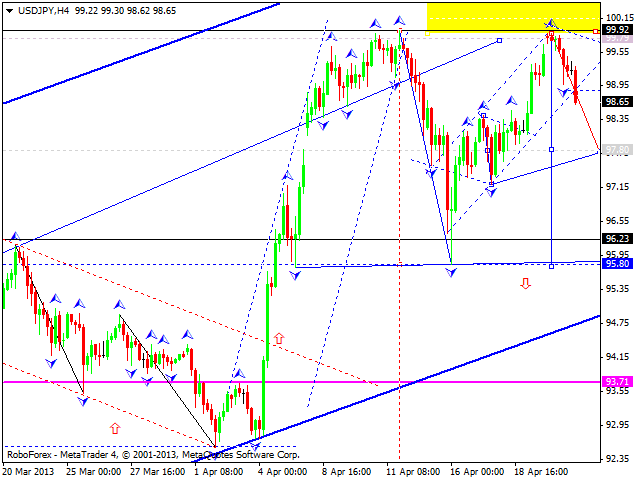 We think, today he price may reach the first target at the level of 97.80. Later, in our opinion, the pair may grow up to test the level of 98.70 from below and then start another descending structure towards the target at 95.80. Australian Dollar continues forming a descending wave with the target at 1.0085. Yesterday the market couldn’t form an ascending structure to test the level of 1.420. 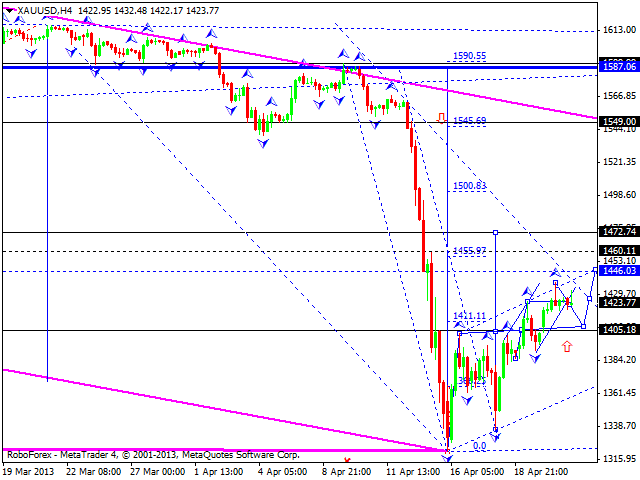 We think, today he price may reach a new minimum and then continue falling down without any corrections. Later, in our opinion, the pair may form a consolidation pattern and expand this descending movement towards the lower border of diamond pattern from the weekly chart in order to test it from above. Gold is still moving inside its third ascending wave; right now, it is forming a continuation pattern with a local target at 1470. We think, today he price may move downwards to test the level of 1405 from above, grow up to reach the target at 1446, and then fall down again towards the level of 1405. Later, in our opinion, the instrument may continue moving upwards.